As your local denturist, Robert often receives phone calls from patients who are inquiring about the cost of dentures as well as the associated procedures. When selecting a denture, your decision should be based on more than just price. At Duncan Dental 1992 LTD, Robert is here to help you make an informed and educated decision about selecting the right dental prosthesis. For a complete set of dentures you will require five to seven appointments. A single denture typically requires four or five appointments. What Kind of Acrylic and Teeth Do You Use? There are several different types and levels of quality available. Will My Dentures Last for a Lifetime? Your mouth is constantly changing; therefore, a denture should be replaced when this occurs. On average a partial or denture should be expected to last about five years before it is replaced. However, the life of the denture is directly related to the quality of materials used. Heat cured invested packing technique – uses stone to invest, is boiled out and then packed with heat cured acrylic at 3000 lbs/psi. Then it is heat cured in an acrylizer water bath at 163°F for nine hours. Microwave technique – uses a microwaved cured acrylic. This process is liked heat cured invested packing except it does not use a water bath. Injection technique – uses heat cured acrylic which is slowly injected instead of packed and then heat cured. What Are Precision Equilibrated Dentures? Precision equilibrated dentures are created to function in the most natural way possible. With sophisticated instrumentation your facial information is recorded to create precise movements of your jaw to ensure that the denture will have an optimum fit. What Are Standard Non-Equilibrated Dentures? Also called economy dentures, they place greater limits on diet and esthetics. They may fit comfortably and function reasonably well; however, they are constructed using physiological averages on a non-adjustable machine. What Types of Levels of Quality Do You Offer? The goal in both the precision equilibrated or standard dentures is to replace what is missing from your oral cavity, and ensure results that are natural as well as esthetically pleasing. In our office Robert has three levels of quality, BPS precision equilibrated, intermediate and standard dentures. Denturists are denture specialists that specialize in the manufacture of partial and complete denture prosthetics. Denturists have a professional designation of Registered Denturist. The scope of practice for a denturist covers relining, rebasing, repairing, full and partial dentures, dentures over implants and partial over implants. You do not need a referral from another health professional to consult with a denturist. All denturists are governed by the College of Denturists of British Columbia. The government has produced an ACT, "Health Professionals Act- Bylaws and Policies", which ALL denturists must abide by. 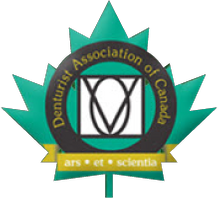 A fee guide is developed by the Denturists Association of BC with minimum rates that ALL denturists should charge. Why Are Dentures So Expensive? Dentures are not expensive when compared to dentists’ prices for the same services. Compare new dentures to other expenditures you incur annually, monthly, or even weekly such as car insurance, food costs, cosmetics, pet expenses, property tax, disability, fire, theft and home insurance's, entertainment expenses, etc. As for a wide range in the cost of a denture, it is simple: cost equals quality. A quality, well-fitting, and natural looking denture takes more time to make, and the materials cost more. A good set of dentures aids your nourishment and, therefore, gives you a higher quality of life. Life is too good to go without a smile.